Emmy-award winning composer/pianist Lynette Westendorf earned her doctorate in composition from the University of Washington. Her works for documentary film, modern dance, and the recital stage have been performed throughout the western US, in Canada, Spain and England. She has two symphony commissions to her credit, and has composed for choir, small ensemble and solo instrumentation. She has been an active band leader throughout her career, and was the arranger and director for Seattle’s Sun Ra Tribute Band. 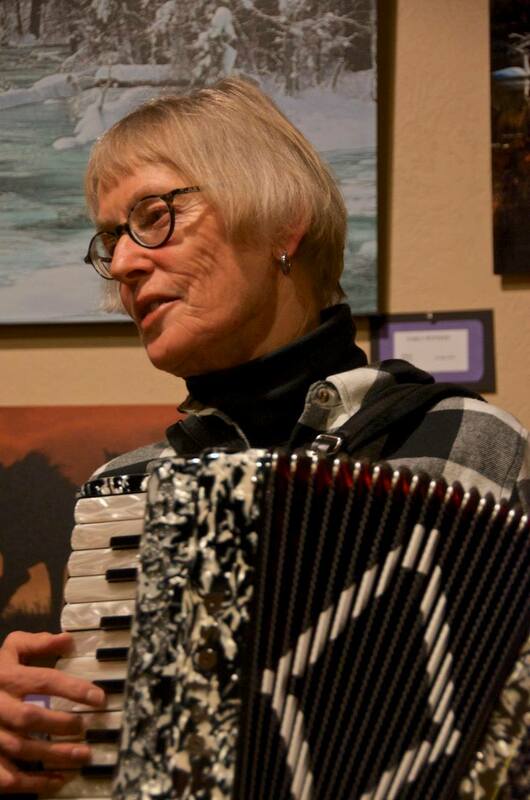 She was also a founding member of Seattle’s Composers and Improvisers Workshop and was active in the city’s avant jazz and new music scene. With her ensembles she has recorded five CDs of original music. Currently she is writing collaboratively with The Westendorf Jazz Trio, featuring Howie Johnson on bass and Kirk Schumacher on drums; they are planning on recording this summer. She is also near completion of a complete set of Preludes and Fugues for solo piano. Lynette’s hobbies include numerous outdoor activities and art quilting. She lives near Winthrop with her husband, historian and writer Richard Hart. ©2019 Methow Valley Chamber Music Festival. All rights reserved. One of the best perks of being a Festival donor is the opportunity to secure reserved seating for the summer Centerstage concerts. - You donated at least $1500. - Before 6 PM our staff will remove personal items from the theater and set out seat cushions for our guests with reserved seating. - At 6 PM we will unlock the doors, allowing other patrons to choose from the remaining seats. - Ushers will be available in the theater from 6 PM to 7:30 PM to help people locate good seats, ensure that all empty seats are filled, and keep the chairs and reserved seat markers in their designated places. Should I Bring My Children to the Festival? Our patrons appreciate attentive listening from all audience members, so if your children can sit quietly for an hour (twice) and enjoy the concert, they are welcome. Otherwise, we doubt that either you or your kids will enjoy themselves. A better option is to bring them to one of the free open rehearsals at Signal Hill Ranch (9 to noon on Centerstage concert days) which is a much more relaxed atmosphere. Our seating is not designed for lap children, so each attendee must have a ticket. For Centerstage concerts that are NOT sold out in advance, we offer half-price tickets for children under 18 at the door. If the concert sells out on-line, those tickets are not available. About a week before the concerts, our ticket provider will start listing how many tickets are still left for each concert, so you can tell if any tickets will be available on concert day.